Now with our lifetime warranty! 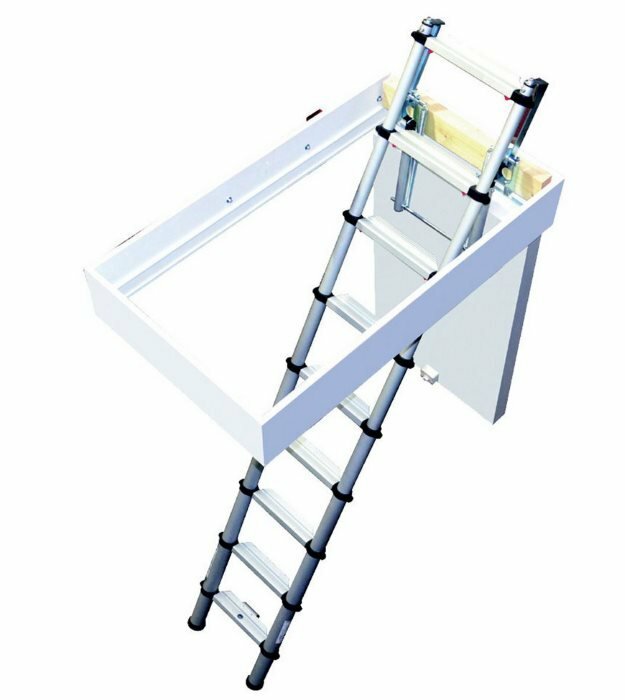 Youngman aluminium loft ladders now from only £129. Includes fitting and our famous lifetime warranty. 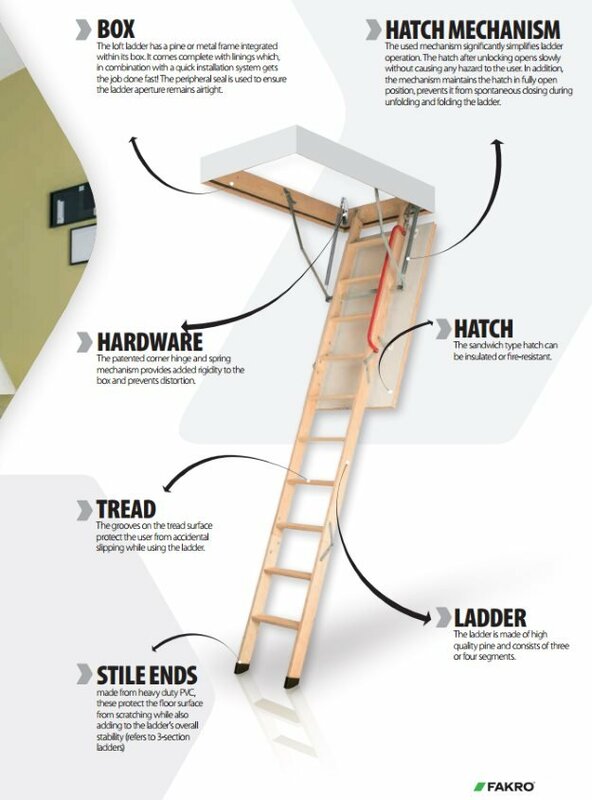 We offer a range of Youngman aluminium loft ladders, to suit every situation and home. 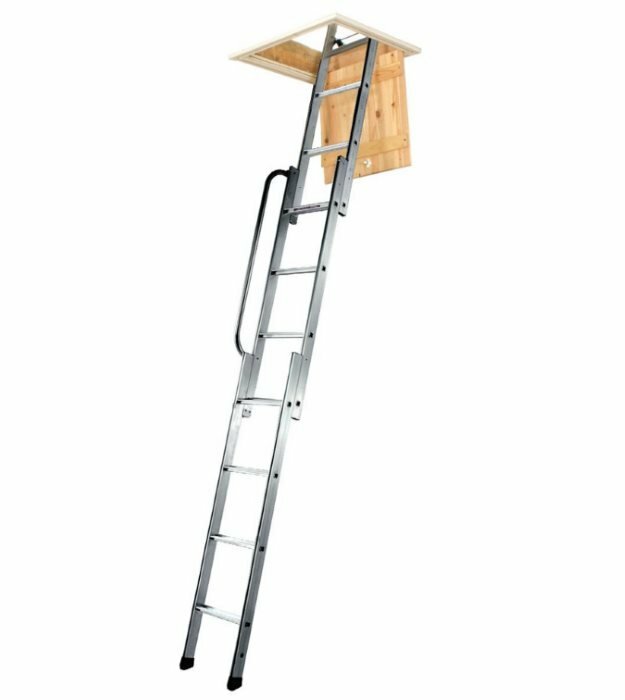 Our most popular loft ladder, the 3 section, is suitable for a floor to loft floor height of up to 3m. It has 12 wide, comfortable treads, a pivot arm which helps with the ease of folding away and comes fitted with a safety handrail. 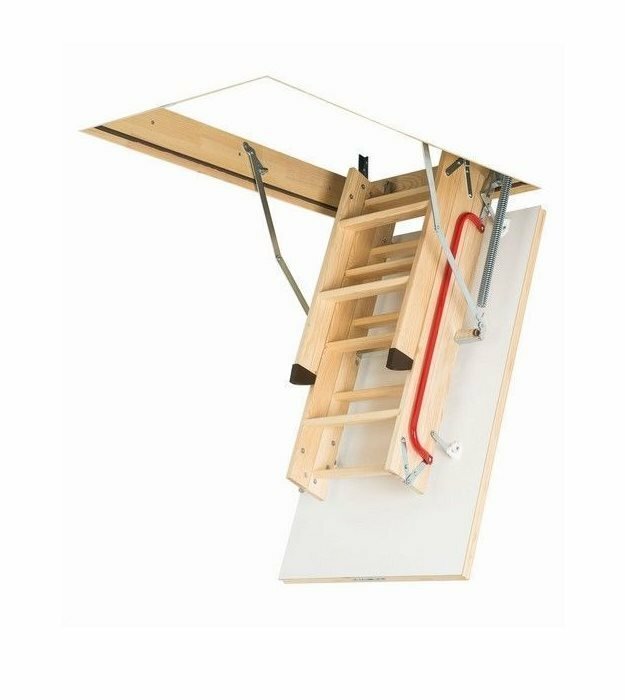 For higher ceilings, we offer the Youngman deluxe aluminium loft ladder for a floor to loft floor height of up to 3.25m. This also comes fitted with safety rails and a pivot arm. 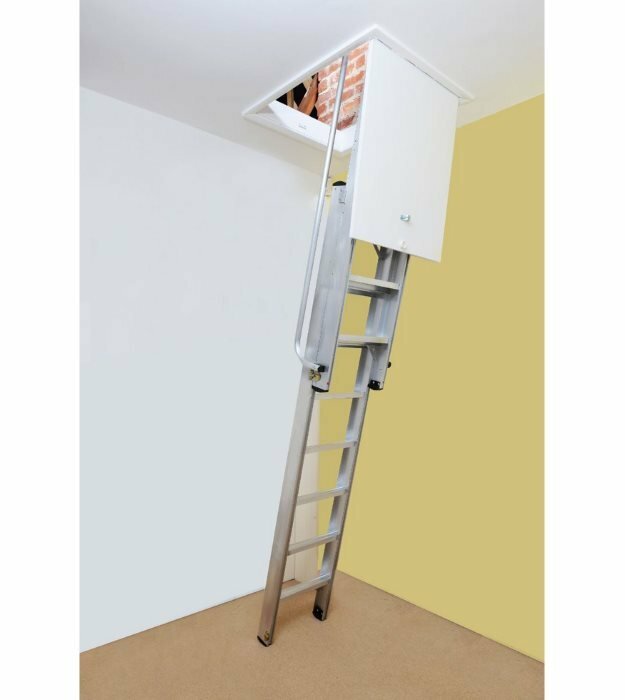 We also offer a range of telescopic ladders for homes where space in the loft or on the landing is restricted. We install telescopic ladders suitable for a ceiling height of up to 2.6m and 2.9m. Fakro timber loft ladders from only £350. Includes fitting and our famous lifetime warranty. 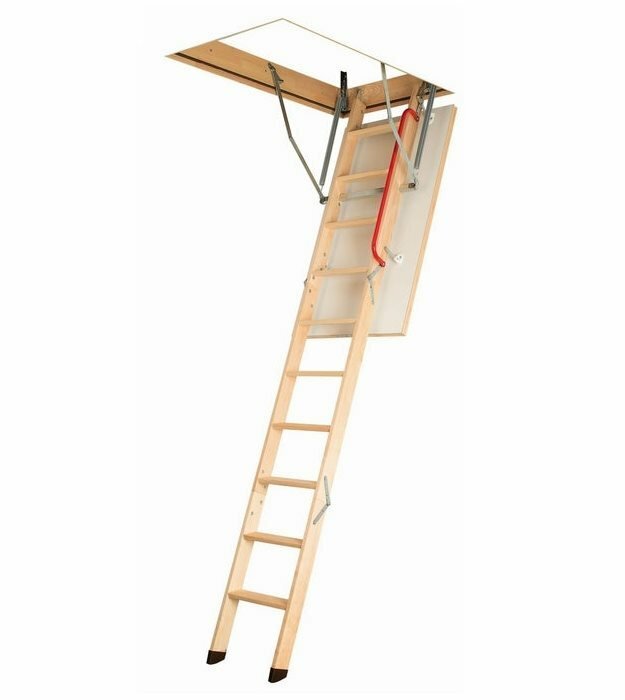 Through our extensive experience, we have found that the range of Fakro timber loft ladders are not only very popular, but have a quality that is head and shoulders above all the other makes of timber loft ladder. 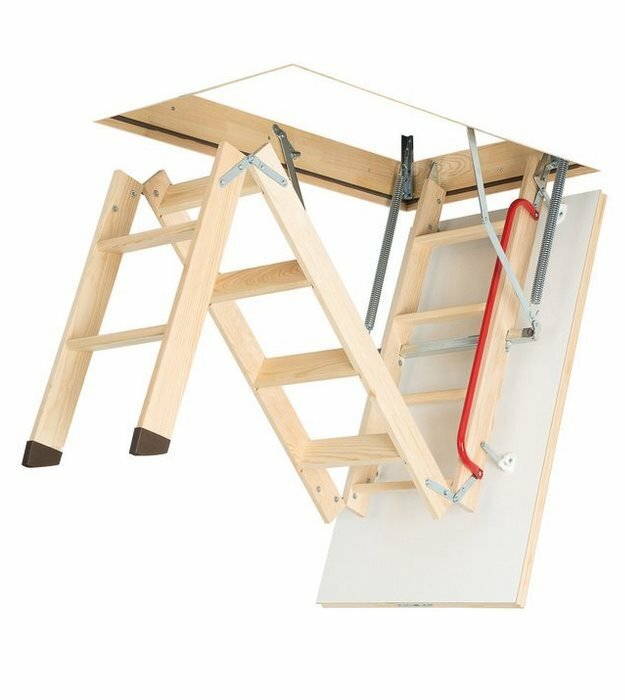 Lofty Solution fit these premium wooden loft ladders with integrated hatches, so no separate purchase of a drop-down hatch is required. We fit wooden architrave around the hatch, a safety handrail and stile ends as standard, all included in the price. We are so confident of our workmanship and products, that we now offer a lifetime warranty on all our work! If you've got any questions about the services we offer, or would like to discuss your loft storage options with an expert, you can call us on 0191 301 7287. Alternatively, send us your name and number and we'll call you back as soon as we can. Our outstanding reputation is constantly being enhanced by the independently verified customer reviews left with Checkatrade. 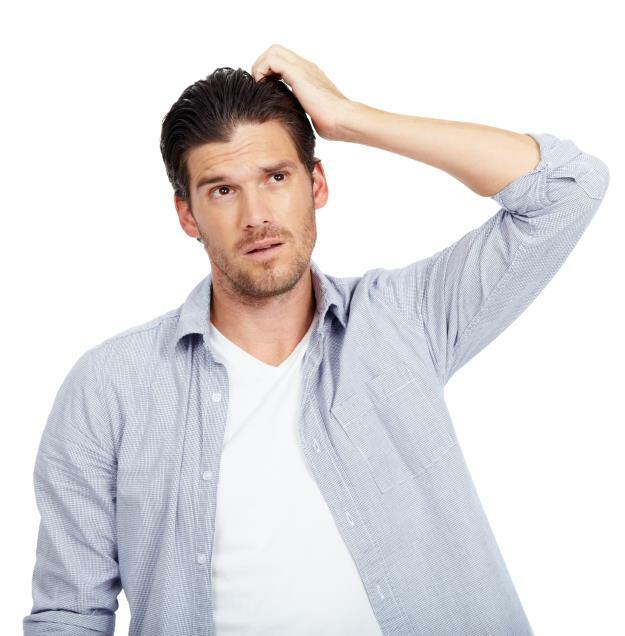 Why risk your money and home getting in a company you know nothing about. We have hundreds of delighted customers throughout the North East whom vouch for our excellent workmanship, value for money and unique lifetime warranty. No other Loft Storage company in the North East provides a lifetime warranty like ours. We offer a full warranty on all our workmanship and products, for as long as you continue to live in your home. This warranty has no exceptions and even covers the lightbulbs we install. 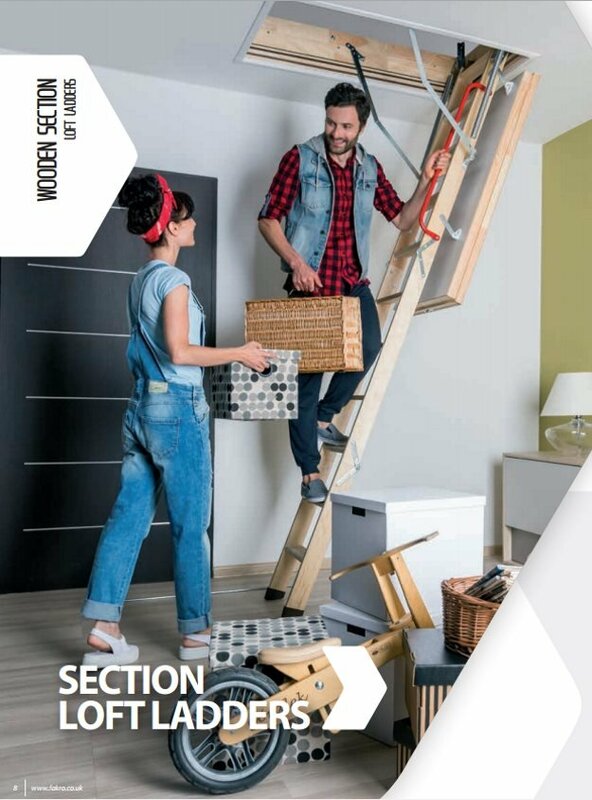 We have been providing loft storage solutions for more than 12 years - and are here to stay. Starting with one of our famous loft packages, you can build a personalized quotation, choose your installation date and pay a small deposit - all in just a few minutes. No stress, no worries and all backed up by the Lofty Solution lifetime warranty. What's more, by doing this all online you'll receive an extra 5% discount off the final cost. There's never been a better time to reclaim that space in your loft. Build your own personalized quotation in just a few minutes. Choose an installation date, pay a deposit and you'll receive a 5% discount.